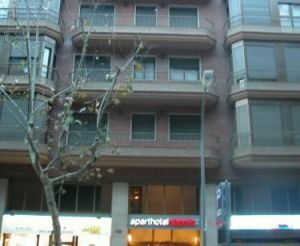 Napols, 116, 08013 Barcelona, Spain. 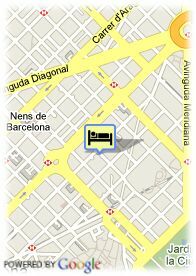 Hotel Aparthotel Napols is located in the Ensanche quarter, few minutes away from Plaza de Cataluña. It offers 39 apartments for both short and long stays. You will be able to enjoy the services and facilities of a hotel while staying in a 50 or 80 m2 apartment, with kitchen, lounge, bedroom and bathroom. For older children and adults 26.75 € for each additional bed is charged.